al order by company name. Number1 Snacks – Snack Vending machines, vending snacks, Netherlands. 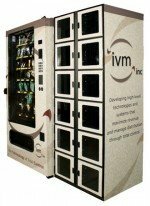 VENDING MANAGEMENT, OPERATIONS AND SALES EXCELLENCE! I am a business professional with proven success in the setting up and running of vending projects & activities. Specialist in Operational Competencies and Category Management. Automaten Koffie, Snacks and Water vendingmachines. CBG is the manufacturer of the Brabo Vendor, suitable for nut, gum and capsules and the distributor for Beaver and Northwestern machines. CBG is also the exclusive European distributor for ZEDCandy vending products. We supply empty and filled capsules from 26mm up to 100mm as well as bulk jewellery, toys and a wide range of bouncing balls. Selling to France, Germany, Belgium, Netherlands, and other countries.